Did we mention it's bootable? 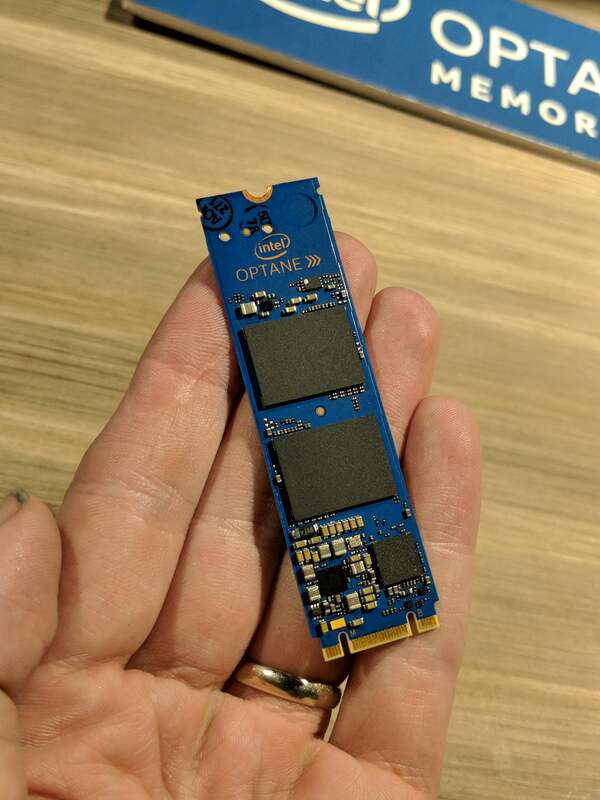 We've been waiting for this: Intel announced the first consumer Optane SSD on Tuesday at CES. Dubbed the 800P, Intel said two models of the 800P will ship in M.2 trim: a 58GB version and a 118GB version. Both will be bootable and will come with a two-lane (x2) PCIe configuration. The drives are rated to write more than 200GB per day. 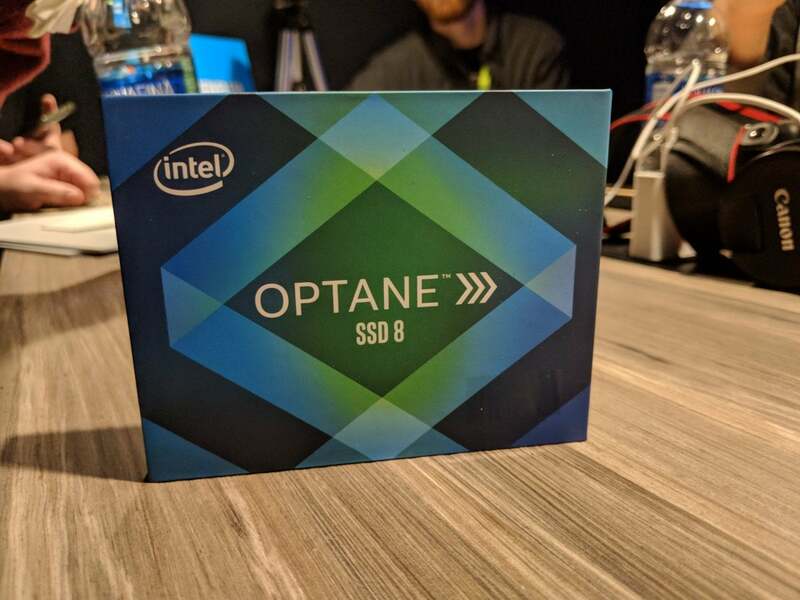 The 800P is the third of Intel's much-hyped Optane drives. The first was Optane Memory; it used a 16GB or 32GB drive as a cache along with a mechanical drive and was intended for mainstream consumers. The second drive, the 280GB or 480GB 900P, is a high-performance PCIe device aimed at enthusiasts. It ranges in cost from $400 to $600. On the right is Intel's new Optane 800P SSD next to a Optane Memory module. In many ways, the 800P is the one that will interest most consumers when it ships in a few months (Intel did not announce firm timing). Its capacity, however, is likely to give them pause: At 58GB and 118GB, these drives are likely to be used only in laptops or desktops with secondary drives. Intel officials suggested these drives would be used for your operating system and critical apps, while your bulk storage might be a more pedestrian drive. Intel didn't disclose performance figures for the 800P, but it's likely to exhibit the same characteristics of average sequential read speeds but insanely good latency and low queue depth performance. 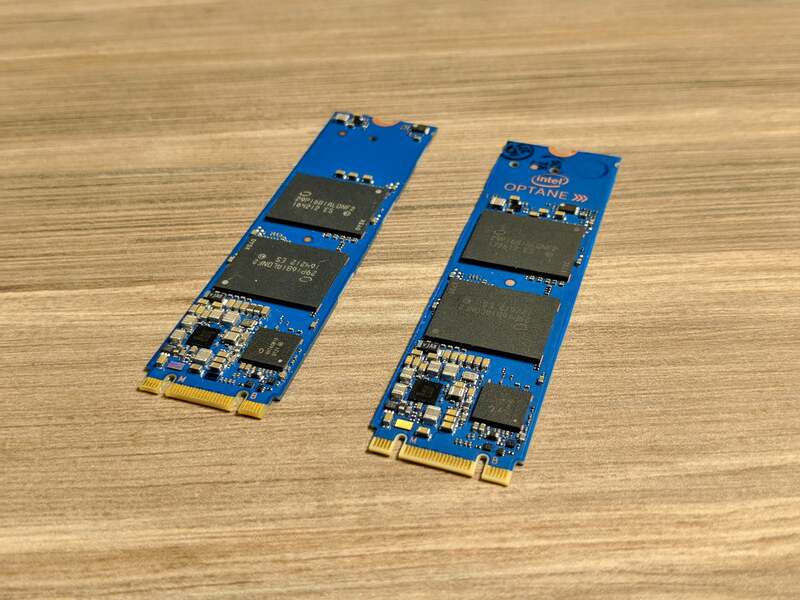 The configuration of a pair of PCIe lanes, instead of the four PCIe that most high performance SSDs use, was done to buoy the latency of the drive, Intel officials said. Intel's new 800P will ship in a few months in 58GB and 118GB capacities.